Welcome to the official website of the Donvale Netball Club Inc.
Competition commencing Wednesday 1 May, 2019, at Mullum Mullum Stadium. Waiting Lists now open for Spring season 2019. REGISTRATIONS FOR 2019 ARE NOW OPEN! As per last year, players have the choice of paying for the whole 2019 calendar year (two seasons) in one payment prior to season one commencement, OR paying for season one only prior to season one commencement. Please refer to the attachments below for info on registering, and policy re fee refunds (if you pay for both seasons and then wish to withdraw for season 2). HUGE THANKS TO BENDIGO BANK DONCASTER EAST BRANCH FOR THEIR ONGOING SUPPORT WITH ONGOING PLAYER DEVELOPMENT AND COACH EDUCATION ! Bendigo Bank has a huge range of financial products and services for personal, business and community needs. To find out more, Contact Bendigo Bank direct, visit them at 900 Doncaster Road, Doncaster East or phone them at (03) 9840 2028 to see how they can help you! 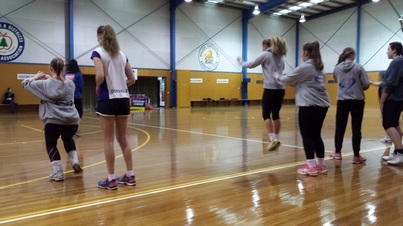 And be sure to say that you are from Donvale Netball Club! - Our Club volunteers are busy people with families, work and other interests. - Volunteers provide the backbone of our Club, and include coaches, team managers, committee and many support-role appointees including uniforms, media, events and grants. HAVE YOU THANKED A CLUB VOLUNTEER LATELY? DNC NOW HAS ITS OWN APP !!! Club communication is often by "TEAM APP" - Download it now to stay up to date with all the latest information! More Information. NetSetGO is Netball Australia’s only junior entry netball program, providing children from 5 to 10 years with the best possible learning and playing experience to develop a positive introduction to netball, ensuring enjoyment and continued participation. 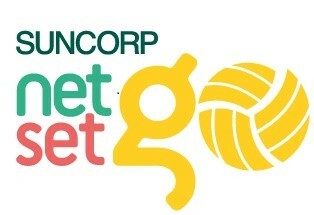 Netball Skills for Everyone - visit https://netsetgo.asn.au/athome for fun activities to do at home! 2019 AUTUMN SEASON CLINICS -TUESDAYS from 12 March, 2019 to 4 June, 2019 (excluding school holidays). Male netballers - players, coaches, umpires & administration. c) Males participating in the Association's competition. ​i) 9 & Under and 11 & Under – boys are permitted to play in these age groups, but Clubs or Teams are only permitted to have three (3) boys on court at any one time. There is no limit to the number of boys named on the score sheet. ii) 13 & Under – boys are permitted to play in this age group, but Clubs or Teams are only permitted to have one (1) boy on court at any one time. There is no limit to the number of boys named on the score sheet.